✅ Trip Verified | Cleanish airport and staff are generally pleasant. Baggage handling is a joke. Using the airport every few weeks with checked bags, the baggage handlers make sure to deliver 10-12 bags to the arrival belt in about 10 minutes, and then take a 15mins break before the rest arrive. Every single time this happens, I guess they are falsifying their records on bag delivery times by getting just a few out quickly. Not Verified | At the check-in desk I specifically asked where do I get my custom stamp for the tax free refund knowing they need to see my luggage for that. The lady misinformed me and checked in my luggage which caused me to loose all my tax refund! There was no time to get my luggage back before my departure time. So, who should I ask for my money back now? Very bad customer service! Not Verified | Security check is crazy. No signage or staff to explain what to do. I, and many others in my queue, did the queue process incorrectly and had to rely on aggressive, patronising others in the queue to loudly tell me so. It was embarrassing and unnecessary. It's a very unusual security queue system so there needs to be signage at the very least. The whole airport and experience was chaotic. Not Verified | Caos total. Falta de organización en los controles, falta de restaurantes y muchas colas para todo. Hacen falta más pantallas con info de los vuelos! - Total chaos. Lack of organization in the controls, lack of restaurants and many queues for everything. More screens are needed with flight info! 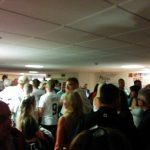 Not Verified | Chaos and incredibly disorganised. The check in was opened less than an hour and 25 minutes before the gate closes! No logical reason to do so. There is no reason why as an airport you wouldn't want people sat by all your shops as they wait for their flight. It's rushed and an easily avoidable problem. Bloody stupid. Was hoping to have breakfast here as we arrived 3 hours early. "never returning to this airport"
Not Verified | Worst airport I have ever been to in my entire life. 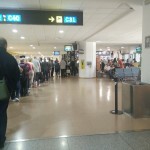 I was flying Aer Lingus to Dublin, and in the check-in line I waited for almost an hour just standing in line. When I finally reached the counter, I was greeted by a very rude Iberia agent who barely understood English and was very slow at printing the boarding passes and taking my luggage. Security was fine, but after security you have to stand in a separate line just to enter the gate area which added an extra 30 minutes to the whole process. It turns out the line was a "passport control" but when I finally got to the front all they did was take my passport, open it, then give it right back without doing anything then I finally got to the gate area. Which was very dirty, the windows are disgusting and the space is so small and crowded with only 1-2 shops. Will never be returning to this airport. Disgraceful. ✅ Trip Verified | A much better experience than last year even though we were travelling at the start of the high season. Perhaps flying earlier in the day made a difference. Arrival was unremarkable with passport control taking only a few minutes. There seemed to be staff guiding some passengers to and through the e-gates but we stayed in the short queue for the manned gates. Departure was relatively straightforward too. There were quite long queues at security but they moved quickly. My wife was mistakenly called to a male agent for frisking (a not unusual happening!) and the poor man was mortified when a female colleague obviously told him about his mistake, luckily before he found out for himself! Passport control was much improved with more gates provided with access beyond those gates to both areas B and C which meant UK-bound passengers could present their passports without fear of having chosen the wrong area. 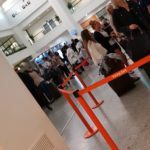 As a result, although the airport was busy and our return flight was delayed over an hour, our passage through Malaga airport was relatively painless. Two adjacent gates were used for boarding, which helped to reduce the turn round time for our plane. ❌ Not Verified | Went through check-in and security without a problem but as with other reviewer on May 31st the passport control was completely understaffed (5/6 officers) with gates B and C in the one queue. Having finally cleared this hurdle we had a similar problem boarding our flight with one staff member who operated very slowly indeed. We finally got to our plane after the departure time but flight was held. Have to ask was there some dispute in operation on the morning of May 31st? 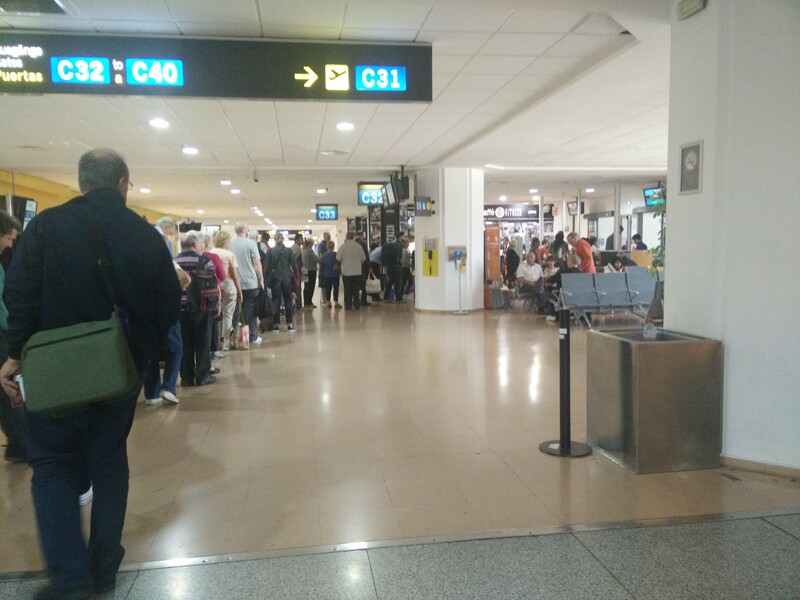 "no idea what was going on"
❌ Not Verified | Two queues both about 100 yards long, merging into one, snaking around the departure area just to get to passport control. Probably several hundred passengers with no idea what was going on. Only six staff on duty, all the other desks were unmanned. Appalling way to treat passengers, no staff to direct the queue, it was a free for all with pushing and shoving and the queue jumpers didn't help matters either! "1.5 hours to get through passport control"
✅ Trip Verified | Took over 1.5 hours to get through passport control. This is after security just before you are boarding. 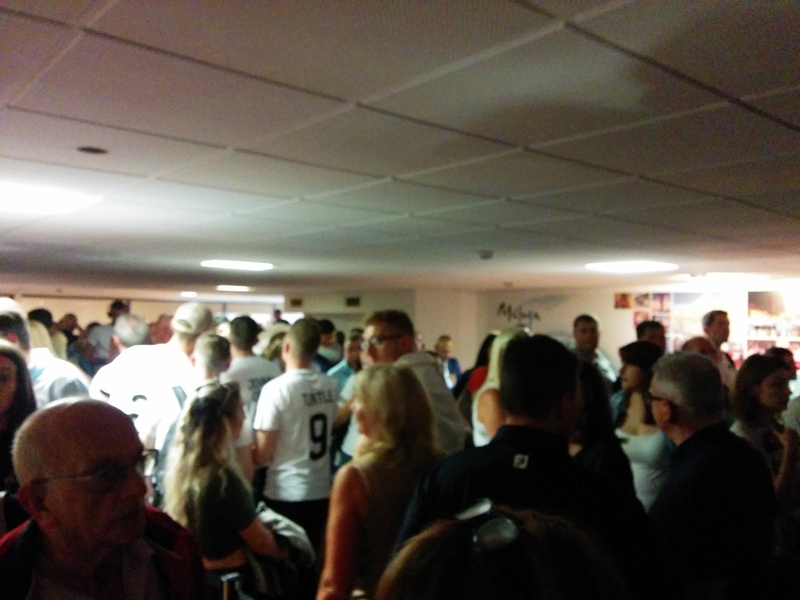 3 flights leaving at the 1 time 1 single que absolutely shocking give yourself plenty time. Suggest whenever you see boarding you start queuing.